Don your chef's hat as you prepare over 50 different recipes. "You can cook and get almost (but not quite) hands-on experience. It is a really fun game!" Grab your oven mitts and don your chef's hat. Cooking Academy is the game that places you in the kitchens of a prestigious culinary school. From eggrolls to pancakes to crème brulee, it's up to you to prepare over 50 different recipes. Learn interesting trivia about food while mastering the skills of chopping, mashing, frying, and much more. Unlock new recipes and trophies by passing your cooking courses and exams. Are you ready to be a Master Chef? I bought this previously through Yahoo but their games have vanished. I came here in search of the 3rd one and saw the awesome deal. Love these games so much. Download was quick too! This game is fun and allows me to relax for a little while amongst all the stress of college life. I liked this game. 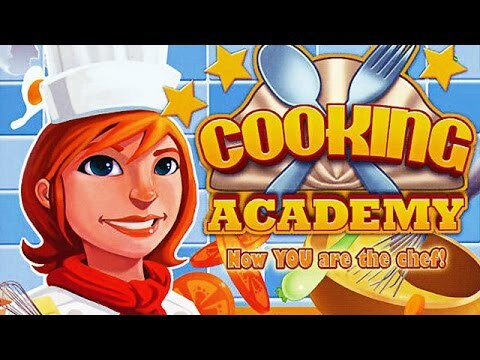 I have play all three Cooking Academy games and they are great!